We’ve all had that family member who may drink a little too much eggnog. Come on – we know you have a great story to share! 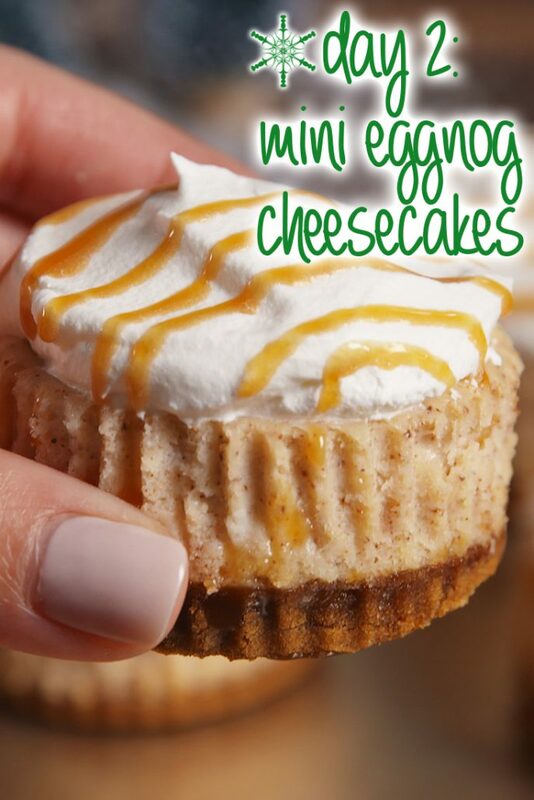 Let’s turn that favorite holiday drink into… bite-sized ‘eggnog’ cheesecakes! Your guests will love these!